iPhone X Case Crystal Shell | Spigen Inc. Ultimate defense with unbeatable clarity. 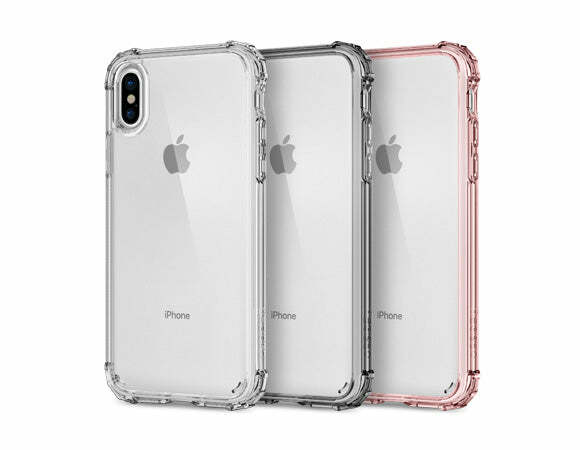 Crystal Shell™ embodies the latest technology with the hybrid makeup of a shock-absorbent bumper and a rigid back to keep protection slim with clarity that lasts. Each corner guard is engineered to handle impacts while keeping the screen and camera contact-free. All cutouts leave features quickly accessible while pronounced buttons preserve the feel of the original click. Take the Crystal Shell™ to the next level by showcasing your personality through its crystal clarity.